Mini Soccer Fast Start Plastic Goals were designed and approved for 7 v 7 junior football and conform to the British standard BS 8462:2012. They are without doubt the best high impact PVC Mini Soccer goals available in the U.K. The Mini Soccer Goal Post measures 12′ x 6′ and is made from high impact UV stabilised 68 mm tube that is environmentally friendly. The Mini Soccer Quick Play Plastic 7v7 Goals have anchors included that allow the goal to be used on any surface . The Mini Soccer Fast Start Plastic Goals are supplied with a single section crossbar, uprights and ground frames which makes the goal stronger, sturdier and quicker to install. If you want a football goal to be installed faster on match days and then dismantled quickly after the game then this is the goal post you need. The Mini Soccer Fast Start Plastic Goals have sides that allow the crossbar and ground frame to be quickly fitted with press in locking buttons. All of the goal frame is securely locked together including the rear supports and unlike other plastic soccer goals the rear net supports do not come out when moved or footballs hit the frame. Although some plastic goalpost brands are badly designed and have a bad reputation our own are very robust and have extended two year warranty which is longer than some aluminium and steel football goals. Some of our original PVC football goals are still in use some twenty years after they were purchased. We have been supplying plastic football goals longer than any other company and in all these years we have never had negative feedback on our products. For young children our high impact PVC goal posts are the safest and most cost effective type of football goals available. The goal has unique patented ‘Net Fixings’ that allow neat and rapid fixing of goal nets to the rear of the posts. 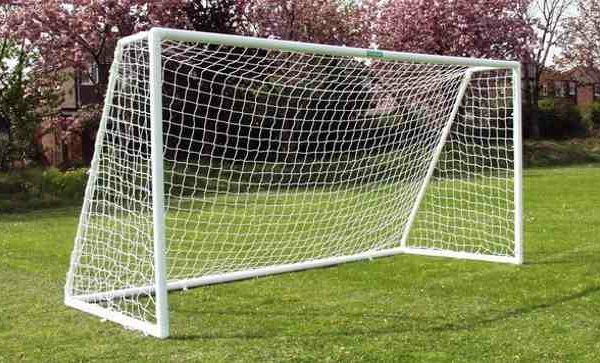 The ground frame includes ‘ground frame net fixings’ that extend the life of the goal net. The quickest and neatest way to lift nets on and off any goalpost. No need for time consuming clips pulling goal nets around the front of the posts and nets pulled under the ground frame to fray as on all other free standing football goals. A Superior British product “Made in Sheffield” the home of football and well worth the money. 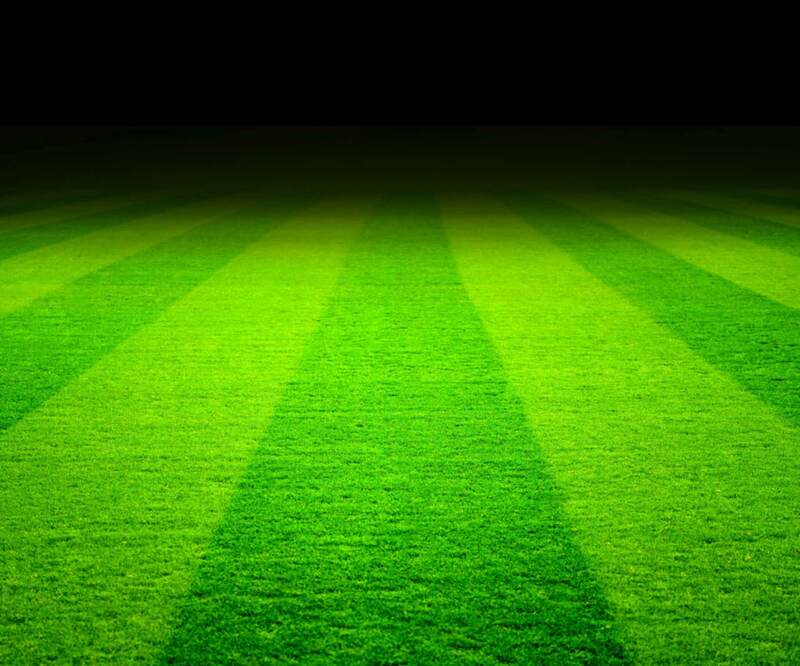 Goalposts that are safe, easy to use, competitively priced and have an unmatched extended warranty. To view a copy of the goalpost fitting instructions click here. Hi, my son loves his new goaly nets. He said it’s the best nets he has ever had. Excellent service, and quality product. Thank you very much. Thank you for fantastic service in getting this Goalpost to us in record time. My son’s birthday is today. The item came yesterday after ordering on Monday! His face in seeing the assembled goal this morning was priceless. The quality of the product is also second to none. We’ve had goals before (Samba Goals I’m afraid to say) but this knocks the spots of anything . Great service and products, I will be spreading the word to all who wish to buy a similar product – look no further than ITSA Goal. MINI SOCCER GOALPOST I find your goals far superior to Samba goals and the shape is just fantastic. Lots of clubs have enquired by me about these goals as Samba Goals just don’t look the same and don’t feel of the same quality. The arrow-shaped hooks certainly makes the goals standout from the rest.